What is the focus of your organization and what are some of the activities you conduct? We are one of many chapters of a national PRSSA organization. 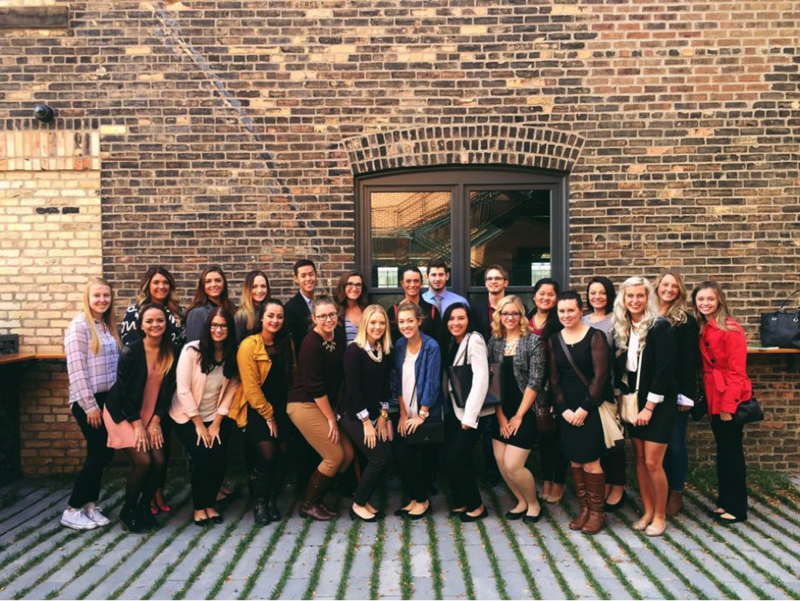 We talk about what is going on in the PR world and how to prepare for our future career. When did your organization start at Minnesota State University, Mankato? Our organization was started in 2002 by Dr. Jane McConnell. How many members do you currently have? We currently have 29 members. How often do you meet? We meet every Wednesday at 6:45 p.m. in the Heritage Room. What leadership positions can someone hold within your chapter? We have the positions of president, Vice President, treasurer, social media chair, tours and speakers chair, and volunteer and fundraising chair. What are your goals of your organization and how to you attain them? Our goal is to further educate students as to what PR is, and to help increase their skills beyond the classroom prior to graduation. What is the greatest achievement your organization has received? Our greatest achievement would be in the connections that we get to make by visiting real PR firms in the cities as well as speaking with professionals at our meetings. How do you join? Anyone can join! Just show up to a meeting. However, there is a $75 fee to be a recognized member. 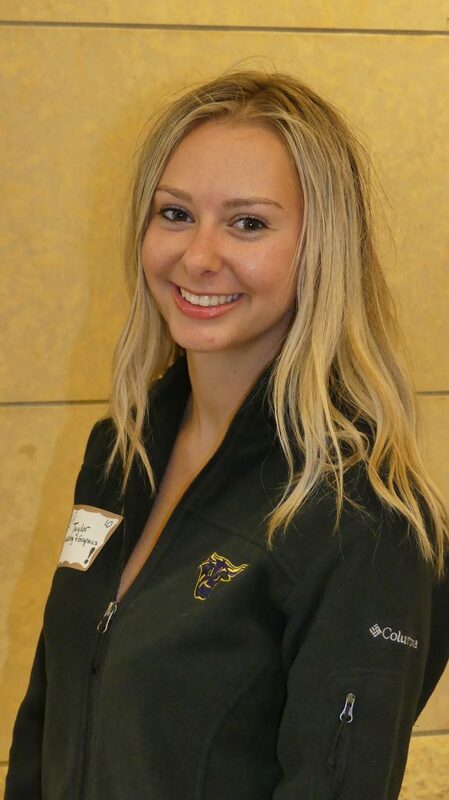 Taylor Zenz works as a Public Relations intern in the Centennial Student Union’s Communications department and she is the CSU Student Employee of the Month for November 2017. We quizzed Taylor on very important topics so you could get to know her better. What is the happiest moment in your in your life so far? Receiving my acceptance letter to MSU. If you could live anywhere, where would that be? ANYWHERE on the west coast that’s warm. Maybe California or Hawaii. What is your favorite childhood memory? Tubing on the Mississippi River every weekend with my friends. What is your most prized possession? My Netflix account. There’s nothing like rewinding after a long day watching your favorite show. What tops your “bucket list?” To go backpacking through New Zealand. If you could have a super power, what would it be? To be able to transport myself to different places. Goodbye long travel times! What is the one thing or achievement you are most proud of? Being elected VP Public Relations and Marketing on the Panhellenic Council. If you could start your dream business, what would it be? My own public relations firm helping small businesses grow. What is one thing people would be surprised to know about you? I was the most shy person you’d ever meet before I came to college. College really opened me up! How do you hope to be remembered (what will people say at your eulogy)? That I was a great friend and role model. What three words best describe you? Personable, energetic, outgoing. 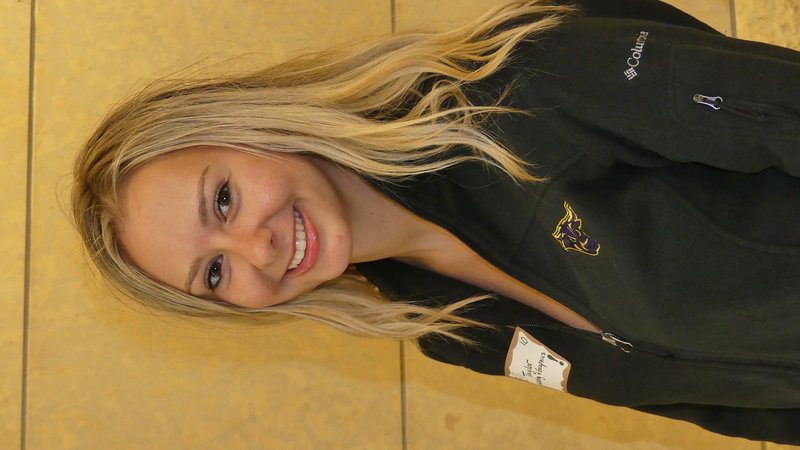 What do you like most about Minnesota State University, Mankato? The college community. I love walking down any given hallway and seeing a familiar and friendly face.